This is the first blog about the many benefits of CST (CranioSacral Therapy) which is a blend of cranial-sacral and myofascial bodywork. If you have a dentist appointment, consider scheduling a CST session before and/or afterwards. Dental work often produces soreness in the head and neck due to prolonged time with your mouth open and your head in an uncomfortable position. CST is ideal before and after having dental work because it is so gentle and non-invasive. Get a CST session right before your dental appointment to feel more relaxed going in. I can also teach you self-hypnosis techniques that work beautifully during dentistry. Get a CST session right after your appointment to ease a sore jaw, neck or headache. There are great myofascial techniques to painlessly release these areas and even individual teeth. 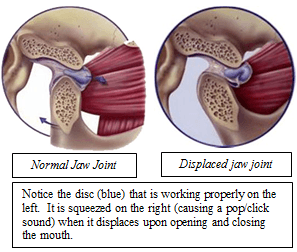 Many people see their dentist for symptoms of TMJD (temporal mandibular joint dysfunction). If you experience TMJD, CST is well-known for gently releasing constrictions in the jaw providing relief and more range of movement. Clients are fully clothed lying quietly on the massage table. I position my hands on specific points in the neck, jaw and skull and perform gentle unwinding of the muscles and myofascia. Many clients relax completely during the session and some even doze off intermittently. CST can also be a full body session since cranial dysfunction affects structures throughout the body. CST is extremely effective on head and neck injuries and other areas of the body where more vigorous therapeutic work is contraindicated. The message here is that CST can help immeasurably both pre and post-dental work.